Welcome to day 21 of my Countdown To Christmas Cookie Recipes. 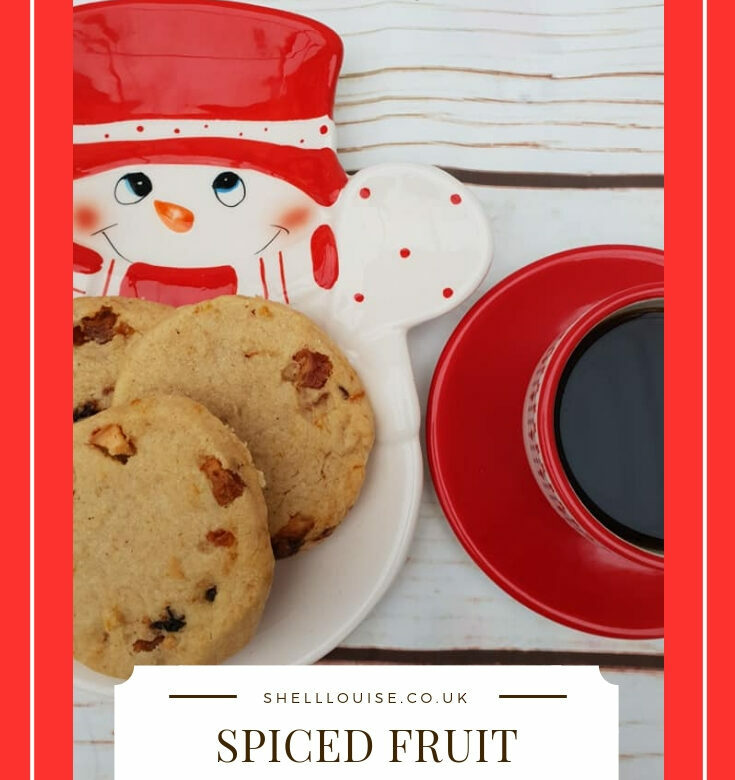 Today’s recipe is for Spiced Fruit Cookies. Tomorrow’s recipe is for Peach, Pear & Plum Cookies. Put the butter and sugar into a bowl and mix well with a wooden spoon then beat in the egg yolk. Sift together the flour, mixed spice and salt into the mixture, add the apple, pear and prunes and orange rind and stir until thoroughly combined. Shape the dough into a log, wrap in clingfilm and chill in the fridge for 30-60 minutes. Unwrap the log and cut it into 5mm thick slices with a sharp serrated knife. Put them on the prepared baking sheets, spaced well apart. Bake in the preheated oven for 10-15 minutes, until golden brown. Leave to cool on the baking sheets for 5-10 minutes, then, using a palette knife, carefully transfer the cookies to wire racks to cool completely.